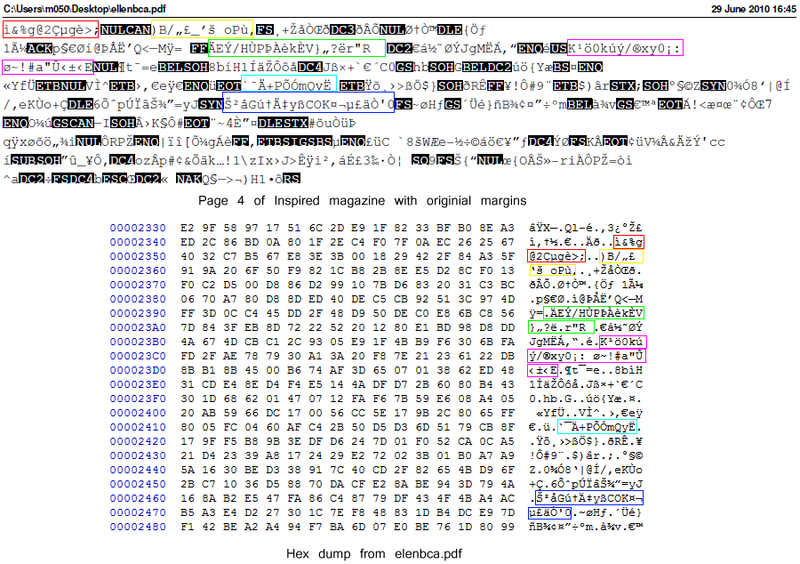 Which means that the debris _was_ put into the file deliberately, and was present in the initial file from which it was printed (“ellenbca.pdf”). However, Ambinder then goes on to say that this is likely just “adding debris” to the file. It was then left up to a random commenter on Ambinder’s article to reveal on his personal blog that this “debris” is in fact a list of cupcake recipes. 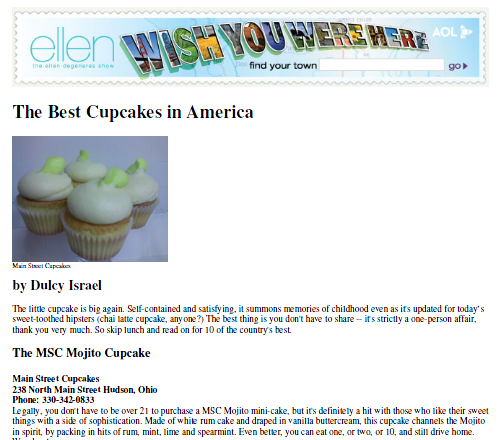 We have confirmed that the debris is from the “Best Cupcakes in America” (ellenbca.pdf) file by a simple comparison of a hex dump using any hex editor with the “garbled image” pages of the Inspire magazine PDF. 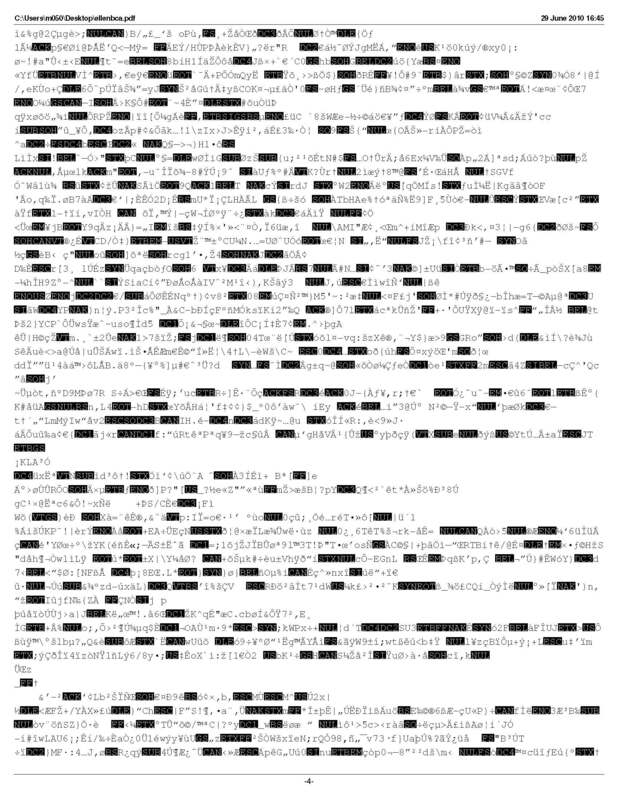 We have put together the following image to better highlight this process and demonstrate the identical nature of the two files by selecting long, easily identifiable strings of code. The magazine’s general tone and use of the English language is either clumsy or purposely intending self-parody. For example, the “Make a bomb in the kitchen of your mom” article and the usage of the word “terrorist” as a form of self reference. Gregg Carlstrom, a reporter for Al Jazeera noted that the logo used in the document is not the same as Al-Malahem’s normal logo. Page 4 of the "Inspire magazine" with margins extended.